When he’s not on the ice helping the New York Rangers, center Mika Zibanejad likes to keep busy. Coming off the team’s fifth straight home win, the Rangers were given a day off this past Sunday. 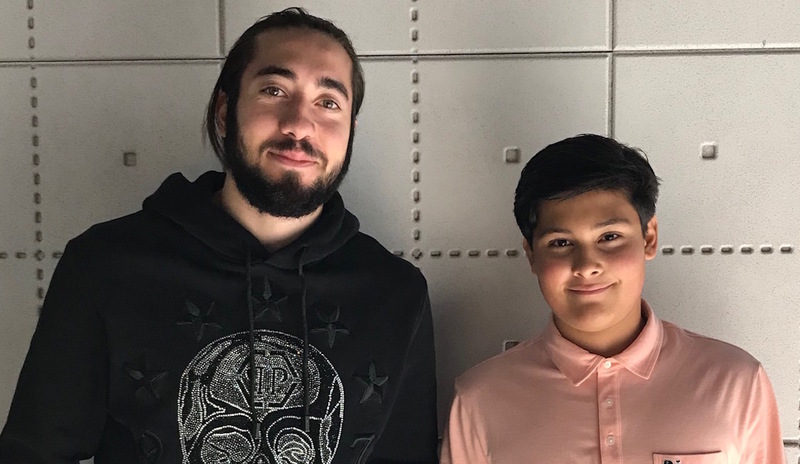 Zibanejad decided to spend it shoe shopping and he invited this SI Kids Kid Reporter to tag along. The 25-year-old former first-round pick has enjoyed playing in New York so much that he can now look back and laugh at the unfortunate timing of his trade from the Ottawa Senators in 2016. On the ice, however, Zibanejad seems to be quickly getting better. Through 21 games, he has seven goals and 10 assists. That 0.81 points per game pace so far would be the best of his career. He credits first-year head coach David Quinn for his ability to communicate to the players. “He has a system that everyone buys into, and the team is doing very well.” He also credits his good start to a strong work ethic and commitment to staying fit and healthy. When the season is done, he says he will be happy to have a nice home to go back to in Sweden. But he hopes it won’t be until some time in the end of June!